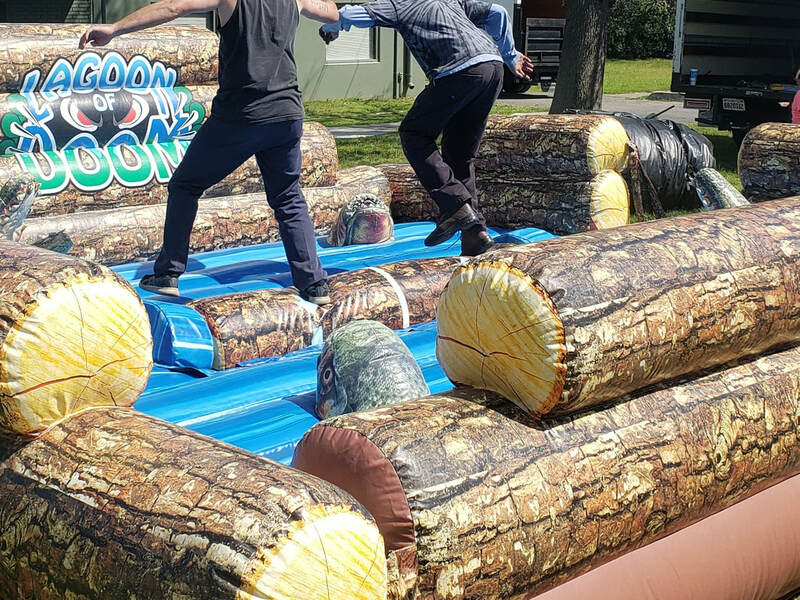 Log Roll Inflatable Lagoon of Doom - Interact Event Productions - Corporate Event Planning at Wholesale Prices! 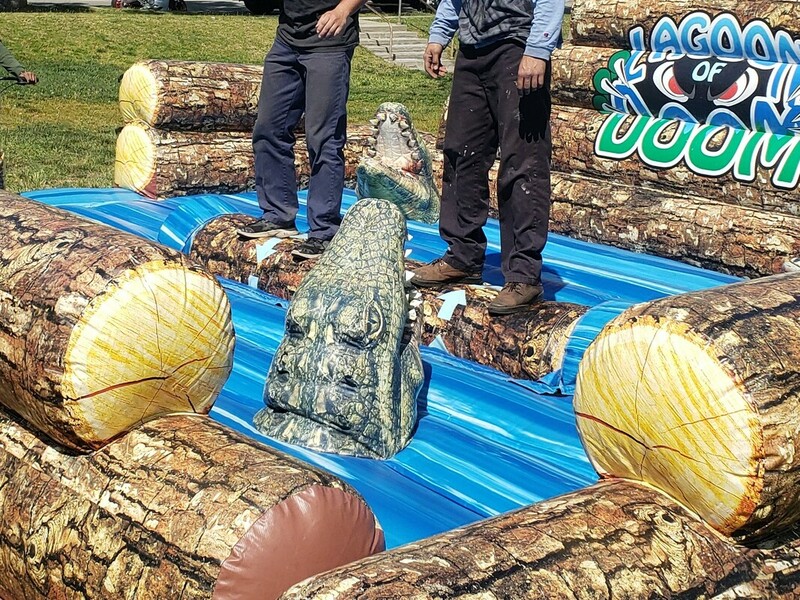 This Log Roll Challenge is an exciting interactive that keeps participants on their toes less they fall in the Lagoon of Doom where 4 hungry gators await their meal. 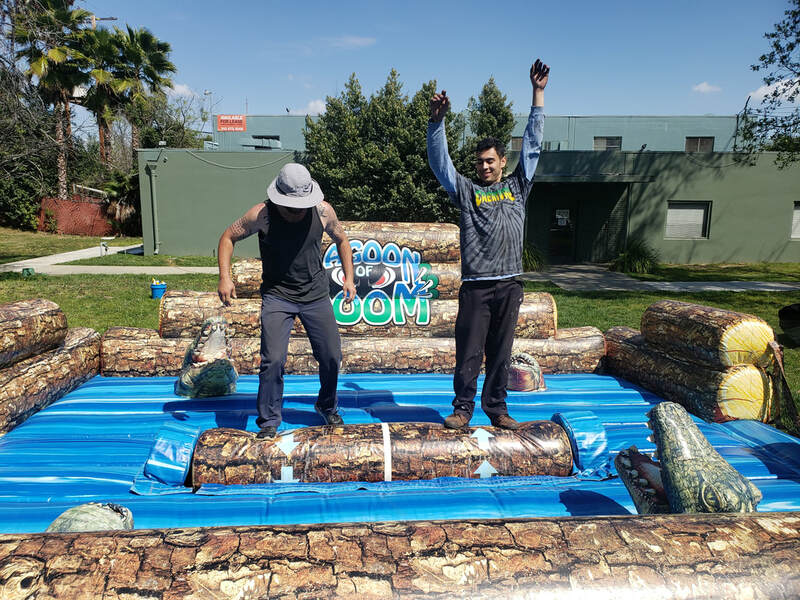 The Lagoon of Doom is perfect for company picnics, school fun fairs and team building eventscause it engages and entertains guests of different age groups and demographics.